Anyone who knows me, knows I love my accessories! I've said it before on my blog, but if I ever had to choose between bags and shoes, bags would win hands down everytime for me! 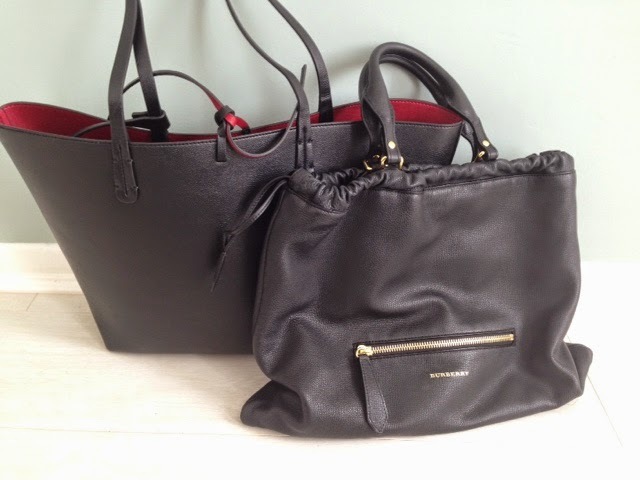 This month I have I have two new bags that I am crushing on. One is high end and the other is an amazing steal. 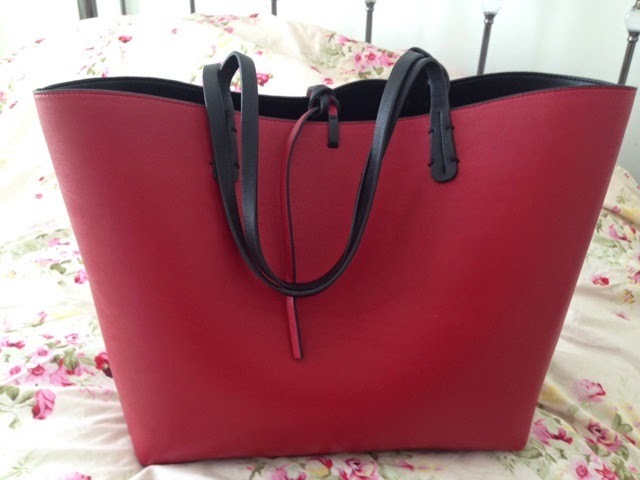 Lets start with the steal...the Zara Reversible Contrast Shopper. Now, I have been 'eyeing' up this bag for a looong time. 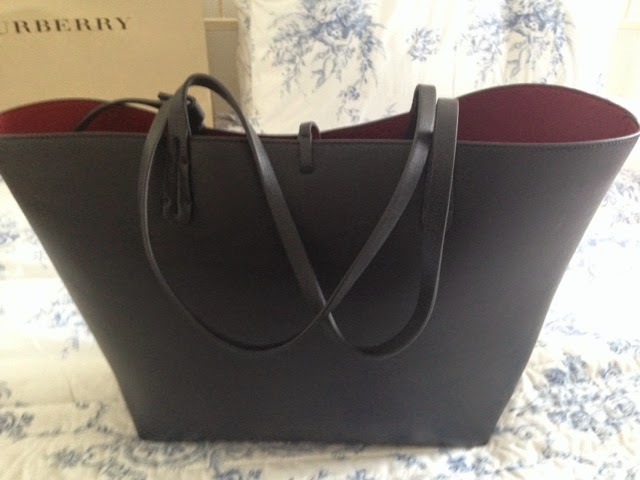 If you are a regular Zara shopper you would no doubt be very familiar with this bag already. 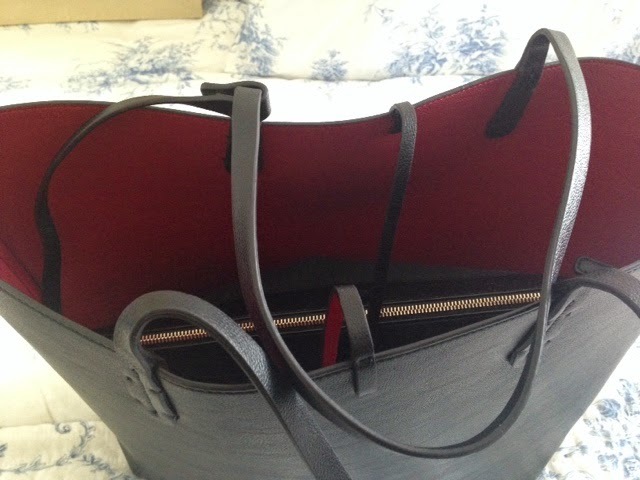 What I love about this bag and what struck out to me immediately is the contrast of the black and red. The red is an 'expensive' looking red...it's like a deep claret mixed with classic Pillar Box red and is really striking when you can just see it peeking from the inside. It is a lovely large size with an internal zipper bag which is there to protect the inside material, so if you choose you can reverse the lining. Now, let me tell you this is not the easiest thing to do...I nearly dislocated my thumb trying to push all the material inside out!.. (not to mention that you have to cut all the labels off very carefully which are sewn onto the bottom of the red lining...why they did not attach it to the internal zipper bag which would've been so much easier I don't know...). 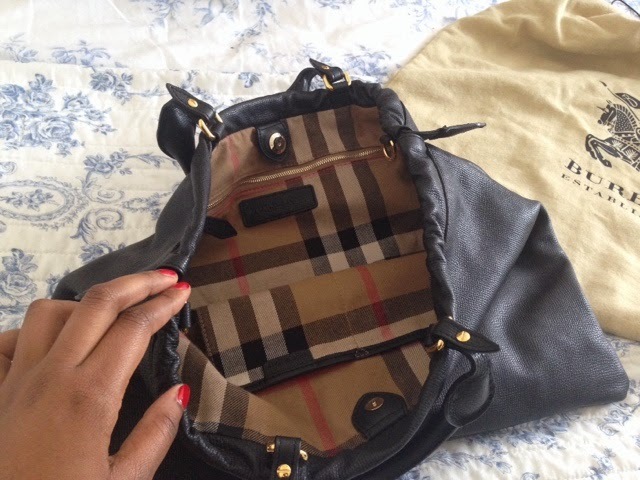 The only gripe I have about this bag is that there are no internal pockets..so when your phone is ringing inside it or you need to grab your oyster card or keys quickly, it all becomes a bit of a mission! That being said it gets many an admiring glance and at £29.99 it looks twice as expensive and in my eyes is a super bargain! The reversible contrast shopper comes in many different colours including a metallic salmon/silver combo. The Black/Red though is the standout favourite for me. Buy it here from Zara. 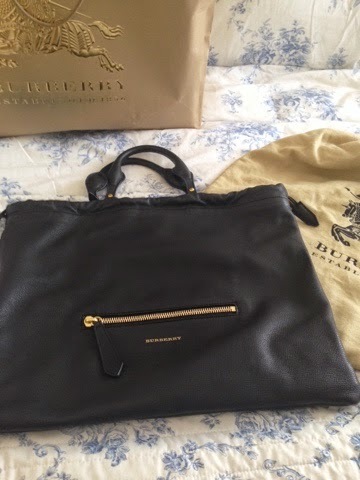 Ok...for those of us who like to spend lots of pennies on our bag crushes, here comes the splurge....from Burberry, it's the aptly named: The Big Crush. This bag is absolutely gorgeous. Made from 100% calf leather from the experts in artisan leather in Italy, this just oozes quality and class and is super soft and slouchy. It has a drawstring across the top for extra security and has a zipped inside pocket aswell as two other normal phone/pen holders. 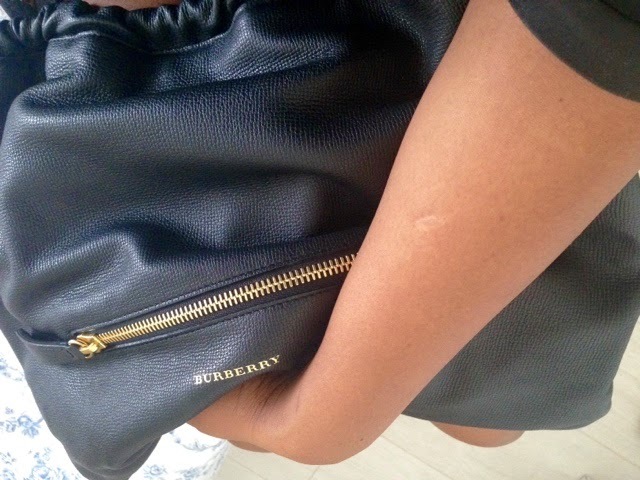 As soon as I got this bag, I wore it everyday!! 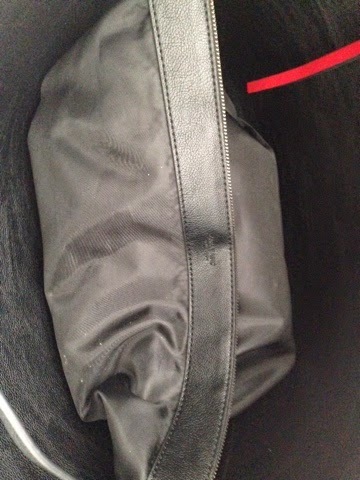 What I love most about this bag is it's versatility. It can be worn normally in the crook of your arm or handheld by the handles. 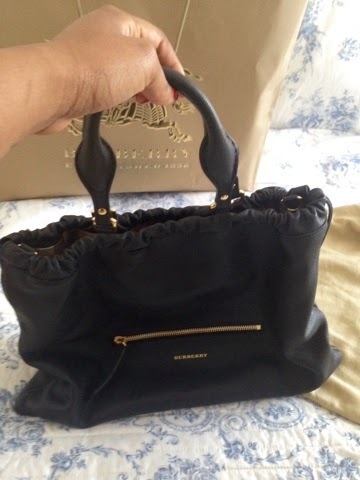 It comes with a detachable shoulder strap also so can be worn also crossbody and lastly the handles can be tucked inside and it can be used as an oversized slouchy clutch bag (see below). 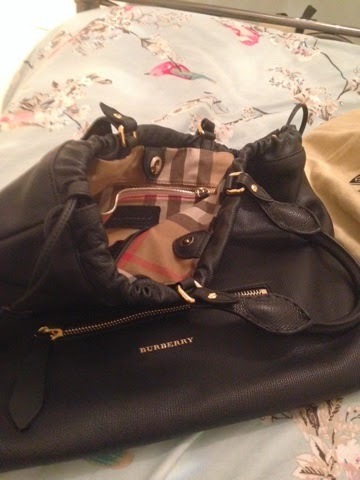 At £995 it definitely is a splurge, but as with all luxury designer bags you definitely are getting what you pay for. Buy it here. 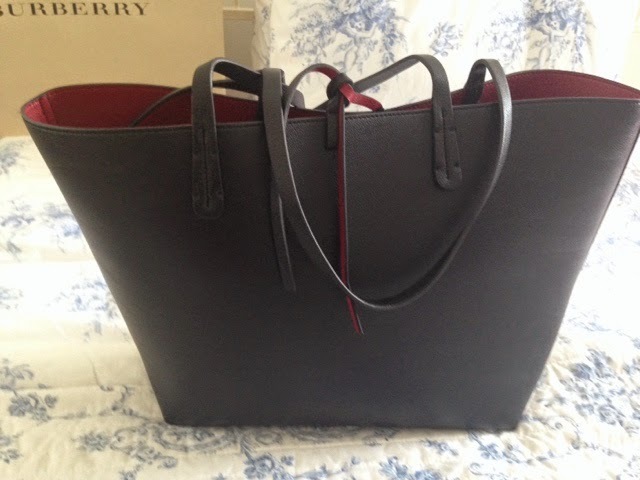 What's your favourite bag crush at the moment? Let me know, I'm always adding to my collection!